Glenn Blake, a former Inprint fellowship recipient and a graduate of the University of Houston Creative Writing Program, is senior editor at Boulevard magazine and is the author of Drowned Moon and Return Fire. His short stories have appeared in American Short Fiction, Boulevard, Southwest Review, The Hopkins Review, Gulf Coast, and elsewhere. He has taught at Rice University, the University of Houston, and Johns Hopkins University, as well as at Inprint. 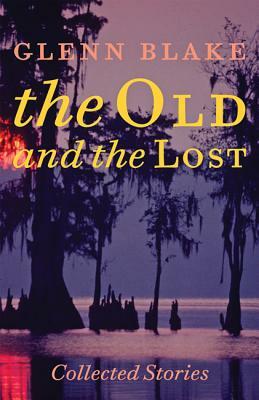 His newest book The Old And The Lost: Collected Stories is made up of fourteen stories set in the swamps, bayous, and sloughs of Southeast Texas, a region that is subsiding–sinking inches every year. The characters who inhabit Blake’s haunting landscape–awash in their own worlds, adrift in their own lives–struggle to salvage what they can of their hopes and dreams from the encroaching tides. We’re proud to join Brazos Bookstore to present the Brazos Bookstore/Inprint Readings, which feature writers with new books who have received Inprint fellowships and prizes, participated in the Inprint Margarett Root Brown Reading Series, or taken Inprint Writers Workshops.